With the membership, parents are issued (2) electronically coded cards. These cards along with a picture I.D. will be required to check a child into or out of the facility. A special one-time pass can also be obtained for those situations where one of the parents will not be dropping off or picking up the child. For the safety of the children special pick up arrangements should be made in advance. Members may bring out of town guests to Kiddin’ Around. Guest must complete enrollment forms and have shot records as required by the state of Texas. Guest rates are: Infant: $13.50/hr, Child over 18 months: $10.50/hr, additional child: $5.50/hr, meals: $5/meal. Late charges are in affect after closing hours (Mon.-Thurs. after 10:00p.m. Fridays and Saturdays after midnight). Customers that are late will be charged a $5 late fee and $1 for every minute after closing hours. 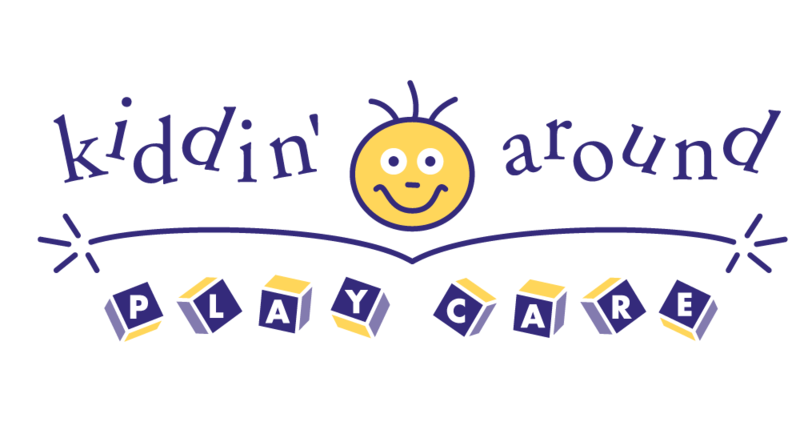 Kiddin’ Around expects children to follow rules for their safety and the safety of others in the center. Our staff uses positive guidance to encourage good behavior. For the safety of all, children that show repeated misbehavior or biting will be asked to take a two week break from Kiddin’ Around. Under the Texas Penal Code, Kiddin’ Around and any area within 1000 ft. is a designated gang-free zone. Texas law, community organizations and caregivers are working together towards preventing and responding to abuse and neglect of children. Staff is required to take two hours of training annually on prevention, recognition, and reporting child abuse and neglect that will guide them to be aware of warning signs, prevention techniques, intervention and helpful community organizations. To better understand issues regarding child abuse and neglect or actions that parents should take to obtain assistance and intervention of a child who is a victim of abuse or neglect log on to http://www.dfps.state.tx.us , http://www.childwelfare.gov , call 1-800-242-5400 or your local office at 1-800-582-6036. Parents are the best judges of their child’s health and we trust you not to bring a sick child to the center. However, if in the opinion of the staff, your children are ill, you wil be called to come pick them up. Kiddin’ Around does not administer medication. In the event of a medical emergency, the person in charge will call for medical assistance, notify the parents, and tend to the child. Staff will provide CPR and first aid if needed and will call licensing to make a report. For the safety of all children, they must be signed into and out of the facility by a parent or an authorized adult. Authorization forms are available at the time of registration and a picture I.D. will be required when picking up your child. Kiddin’ Around has many toys and activities for your children to enjoy during their stay with us and, therefore, encourages parents to leave personal items at home. If your child does require a personal item (blanket, bottle, toy, diapers) please ensure the item is labeled with his or her name. No cell phones, tablets or computers. Kiddin’ Around is not responsible for lost or stolen items. A bulletin board and web site are available to keep parents informed of events happening, or policy changes at Kiddin’ Around. Maintaining an open door policy is an integral part of the Kiddin’ Around philosophy. Parents are welcome to breastfeed or provide breast milk for their child while at Kiddin’ Around. A copy of the minimum standards for Texas day cares and Kiddin’ Around’s most recent licensing inspection are available on site for your viewing. If you have any questions, please do not hesitate to discuss them with Kiddin’ Around management.